Who Takes Care of the Nanny’s Kids? When only US wages can support families in the Global South, parents and children divide to survive. Blanca waits for Guido in the metallic airport lounge. When would he come? An hour passes. Then another. Blanca makes three different trips to the arrival board, ticking off the flights. She checks her texts again and again. Is her son here? She taps a note in Spanish to her best friend Gloria, who has accompanied Guido on the fourteen-hour flight from Paraguay. In response, silence. Blanca must wait. But she is used to waiting. It has been ten years since she lived in Paraguay with Guido, who is now 11 years old. Now 44, she left him when she was in her early 30s and has supported him and her 90-year-old mother ever since then with her wages in America. When she left, Guido resembled the chubby toddler with thick little legs whom she nannies in Manhattan. 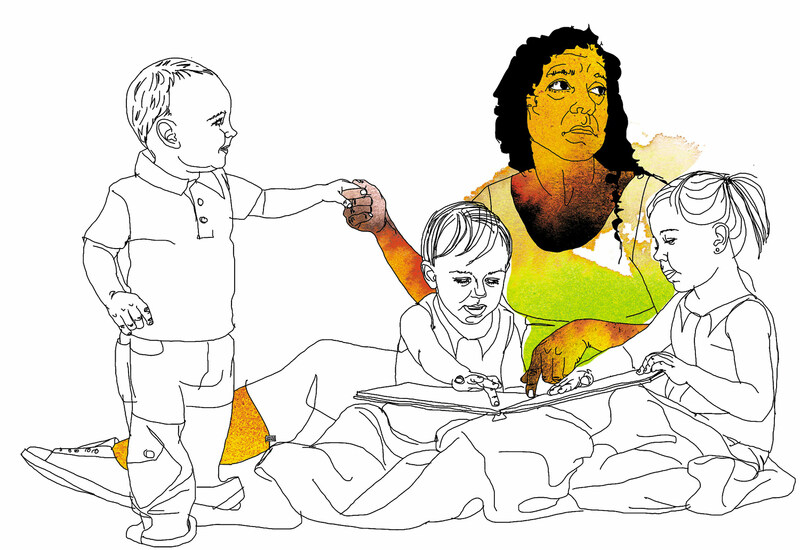 As a working mother who lives across the globe from her child, Blanca is far from alone. Academics describe such arrangements as links in the “global care chain.” At one end of the chain is a woman in a developed country. She gets a job and is unable to take care of her children full time. She hires a low-wage worker from overseas. 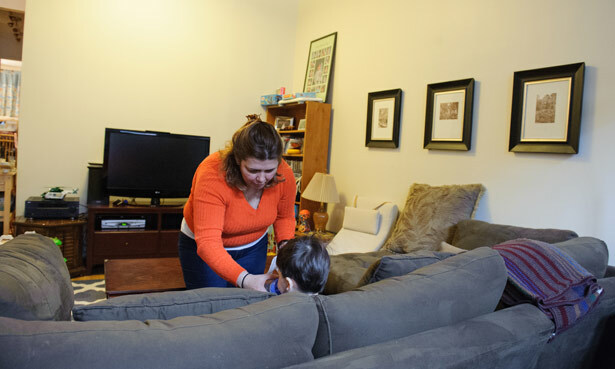 These immigrant nannies, in turn, hire even-lower-wage caretakers back home. The monetary value of women’s labor declines as one follows the chain from Global North to Global South. The chain works by separating wage earners from their dependents. University researchers studying Latina immigrants in Los Angeles estimated that 24 percent of housekeepers and 82 percent of live-in nannies have left kids behind. For Blanca, this presents a terrible choice: the price of getting her son back is substituting his middle-class life in Paraguay for poverty in America. Blanca lives in the under-lit corners of post-Bloomberg New York City, with its glass-encased luxury homes and iridescent shops. Blanca sends much of what she earns as a nanny, and the approximately $100 a day for cleaning, through Western Union to her family back home. “Supporting my family makes me happy,” Blanca tells me over a rare margarita on a wintry night after work. “But it’s always about my son, my father, my mother. Nothing is about me.” While Blanca sleeps in a cold apartment with only two small windows and is one lost job away from poverty, she has been able to send her son to a private school in Paraguay that costs $200 a month. She yearns to hold Guido in her arms but instead of doing so pays for his swimming lessons, the earmark of the privileged. The money she sends home helps her mother pay for trips to hear music or go to the pool. Although the public awareness of domestic labor is increasing, as reflected in popular fiction like Mona Simpson’s My Hollywood, women like Blanca are often overlooked despite participating in one of the fastest-growing sectors of the US economy. There are millions of caregivers in America, but they often live discreetly under the radar due to their immigration status. According to the Bureau of Labor Statistics, 1,312,700 childcare workers were employed in the United States in 2012. However, given that 8.2 million children spend time with a daycare provider, these numbers swell if unreported care providers are included. This rapidly growing sector has pushed to the forefront the situation that Blanca must grapple with every day: If more and more caregivers are needed in America, what will happen when so many families—and children—are living so far apart? In her native Paraguay, Blanca worked as a nurse Asunción, earning enough to support herself and her mother. She grew up very poor, getting Christmas presents for the first time when she was 9 and, for years, making her own dolls out of corn silk because no one could afford to buy her one. At night, her mother would tell her and her brother to lie in their beds while she found them food. It was the trick of the mother with nothing—while Blanca and her brother waited for food that didn’t exist, they would fall asleep. At 8, she began to help her mother do everything at work, she says. As an adult, she fell in love and gave birth to Guido. When she discovered Guido’s father betraying her, she left him. A single mother, she realized she had to support her son and her mother on her hospital nurse’s salary. It was impossible. Nurses did everything, she said, at the public hospitals, sometimes without hot water or electric light. As Blanca tells me every time we meet, “Where I am from, there is no middle [class].” 77 percent of the country’s arable land is controlled by the top 1 percent of landowners. Over 30 percent of the country lives in poverty. There was no income tax until 2012. Due to these inequities, Blanca made her way to a nannying job in Miami with employers who gave her no vacation and extremely low wages. She was a “live-in,” in the parlance of domestic labor. “I am working like an animal, three children in Miami, cooking, ironing, clean and organizing,” says Blanca. 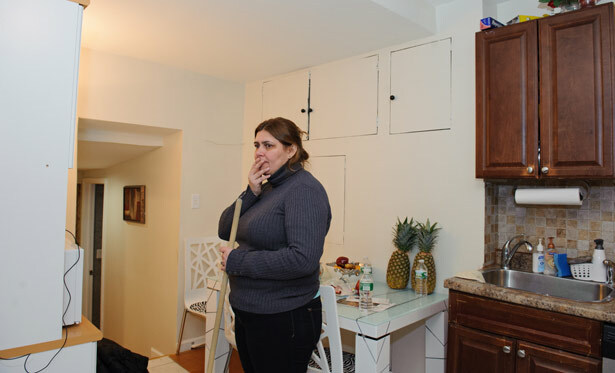 She then moved to New York City, where she found a $15-an-hour nannying job, gained her citizenship two years ago, and added a job cleaning houses on weekends for extra cash. This winter, I met with a number of care-workers in New York City. There was Esther Simiyu, who grew up in Kenya; she would soon head from our meeting to Manhattan’s Upper East Side to stay up all night with a newborn while his mother slept. Her husband is in Nairobi with their daughter, 15, and son, 11. The first time she left them was six years ago, when she came to the United States on a student visa; she spent the first few months crying and sleeping fitfully. Esther made enough money as a baby nurse and sleep trainer—$20 to $25 an hour—to send her kids to a boarding school in Kenya. “Now my daughter is a teenager. We are Skyping and she says, ‘I want to ask you a question, Mama,’ and I want to hug her but I cannot.” The separation is painful for mother and daughter. “But it is important that I am doing this,” says Esther, slapping the table. Her wages are supporting eight family members, including her two children. She sends home checks in varying amounts, sometimes for as much as $1,000. She also shops for gifts for them in Manhattan’s Times Square or the Bronx’s Fordham Road. Blanca also tried bringing her son to New York when he was 9. Guido hated living here so much that he ultimately went back home. Blanca was traveling a lot for work, and he had to stay with her friend when she was away. Guido hated school, and the other kids made fun of him. He missed his grandmother; after all, she was the one who had been raising him. Given her working hours, Blanca was unable to spend the time with her son that they both wanted. When he returned to Paraguay, Guido and Blanca developed a pattern of frequent phone calls, sometimes talking ten times a day. When I meet her in late December, more than two months before Guido’s arrival, she is looking after the verbal 19-month-old she nannies and clearly adores. The toddler sat in his UPPABaby stroller, eating Goldfish crackers out of orange container, playing with a Popsicle stick, ever so often saying, “I am hot” or “water” and drinking from his sippy cup. Blanca loves this boy, oohing and aahing over his early speech, singing him the sunshine song, proudly showing pictures of him playing in the snow if people express the mildest interest. But what happens when these families yearn to be together? Family members seeking to reunify with their children, spouses or parents compose the majority of immigrant petitions filed and visas granted each year. The children of people who have become American citizens are granted visas without regard to quotas. In theory, a visa petition for these children can be approved quickly. In reality, however, there are lengthy processing delays due to huge backlogs. This predicament exposes a major contradiction of globalism: as anthropologist Heather Millman writes, although migrant workers can get past borders easily if they have the desired skills, those same borders often prove impenetrable for their children or parents. Systemic change is what is needed most. New York Mayor Bill de Blasio and President Obama have put public preschool on the national agenda. Without public pre-K and subsidized childcare, early education, and accessible and affordable after-school programs, the hardship will continue for women like Blanca. In a positive turn, the New York Legislature enacted a five-year, $1.5 billion universal prekindergarten plan, making life a little easier for working-poor (and middle-class) parents. It may help women like Pema when she tries to bring her child back to New York from overseas. When I meet Blanca again in January, she thinks that things are about to change for her and her son. She could bring him back in March for good. “He’s not going to have it easy in America,” Blanca says. While reunification sounds good for families, it presents its own difficulties. Guido speaks very little English, and Blanca’s hours don’t permit her to be at home before 7:15 pm. Could she work fewer hours? She works on weekends, after all, doing additional childcare and cleaning. What if Guido gets sick? “I need to be able to stay home with him.” Guido got very sick the last time he visited; he had contracted the life-threatening dengue fever virus and was in the hospital for a week. Blanca pays $80 a month for health insurance out of her take-home pay of about $30,000 a year. The best employers she has had so far are moving to California in August, meaning that her current job will soon end. But, of course, the bottom line is that she misses Guido, and Guido misses his mom. His separation from her has been one of the bedrock facts of his young life. Blanca calls me again in February. She saw the price of air travel drop and bought a one-way ticket for Guido. He will be arriving in three days, accompanied by Blanca’s best friend Gloria—who, although she is surviving on a nanny’s salary herself, paid for her own round-trip ticket to Paraguay as an act of friendship. Blanca could not afford another ticket for herself, and she also couldn’t afford to miss the number of days at work that the long round-trip flight would have required. With Guido’s impending arrival, Blanca’s work is cut out for her. His future room is cold and windowless, and its floors are still unfinished; her friend will be helping her fix them today. She starts to clean her own house for Guido’s arrival, sweeping the floors and washing them with a mop that she created from a stick and rag, doing for her own home what she has done for many other people’s homes this year. She gestures at a long leafy ivy plant in a china pot that stood in one of the only two small windows of her apartment. “This plant has been my company since I moved here—that plant is my best friend,” she laughs. Then there’s the fact that she hasn’t seen Guido for two years, which makes buying the new clothes he’ll need difficult. “He’s taller than me,” Blanca says. Guido doesn’t Skype since he doesn’t have Internet access. So she has trouble picturing him sometimes. She has bought him boxers, socks, big pants, pajamas with hearts on them, but she doesn’t know his size and “he’s very boy so I am not sure he will like these hearts.” At some point, she calls Guido as he prepares for his plane journey and talks to him in Spanish about the clothes he is packing. She names them all. He says he is packing summer clothes and she laughs. It’s snowing again in New York City. As for Guido, he has missed his mother. He has not lived with her for more than a few months at a stretch since he was about 2 years old. Blanca has been thousands of miles away from the city where he grew up. She is in a cold city that has more people in it than in his entire country. “I only think of you: I want to see you again, “ Guido tells his mother, through their mobile phones. Blanca leaves work a little early the next day to pick up her son from the airport. She is a bundle of nerves. In the long drive out to Queens and in the hours spent in the airport lounge, Blanca tells stories of her old life: about working as a pediatric emergency nurse in Paraguay, where they lacked basic equipment; about the time that the other nurses and doctors thought a 6-month-old was dead and she saved the child’s life with oxygen. Blanca’s journeys back in time to these sad and happy dreamscapes are repeatedly interrupted as she checks for messages on Guido’s arrival. The long, long minutes stretch into hours. As each person leaves immigration, Blanca jumps. Two hours after the plane was supposed to land, she sees her son and Gloria. Her face lights up. “Hey, Guido! Guido!” she calls. It turns out that, although the plane arrived on time, the pair were delayed by immigration agents, who kept asking them how Guido could be an American citizen when he doesn’t speak English. Blanca takes the dark blue jacket she bought for him out of the bag. It isn’t his favorite color, red, and he doesn’t really want to wear it, he says. But it’s freezing outside, she tells him. Guido is carrying just one suitcase; inside are two pairs of jeans and one pair of sneakers. “Put on the jacket, Guido. Poor boy, they treated him badly in immigration,” Blanca says in Spanish. “No tengo frío,” Guido says: he is not cold. Also, the new coat doesn’t fit. They all need a break from the cold, but the cab’s warmth will last only a little while. They are going to Guido’s new home. By March, he will be attending a giant new American middle school in the neighborhood, where the sound of kids screaming in English echoes down the halls.